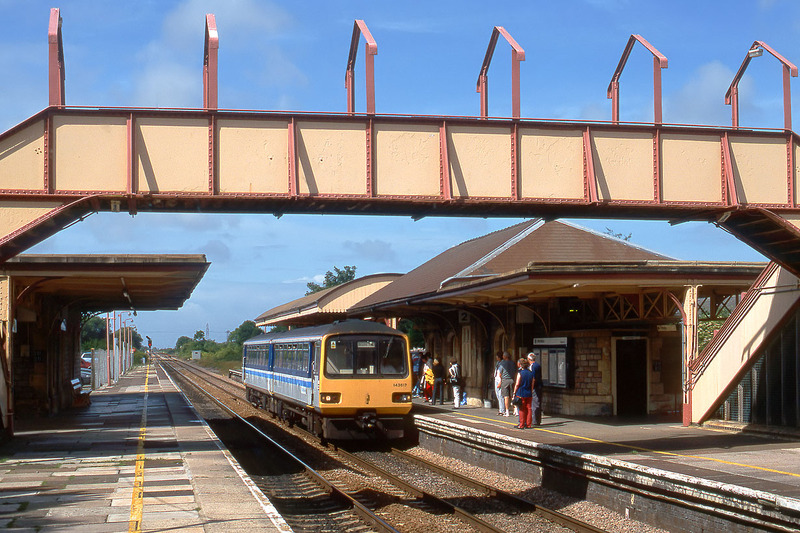 143617 calls at Yatton station on 30 June 2001 with the 09:37 Taunton to Bristol Temple Meads Wales & West service. Yatton was once the junction for the Clevedon branch and the cross country line to Wells and Shepton Mallet. As can be seen here, a surprising amount of steam age buildings and fittings still survives, although the footbridge does look a little strange without its roof.